Sweet Mother of Pearl, Yes and YES. 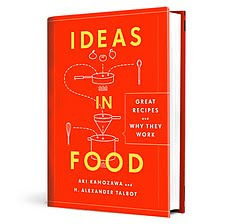 RECIPE from food52 and from the great cookbook "Ideas in Food." Put the egg yolks and tapioca flour in a blender and blend on low speed until a light-colored paste forms. Combine the sugar, cream, milk, salt, and vanilla in a saucepan set over medium heat. Bring the mixture to a boil, then remove it from the heat. Turn the blender containing the egg and tapioca mixture back on low. Quickly and carefully, pour the hot milk mixture into the blender and increase the speed to medium. The heat will cook the egg yolks and allow the tapioca to thicken to the consistency of thick mayonnaise. With the blender running, add the chocolate in stages so it is emulsified into the pudding. 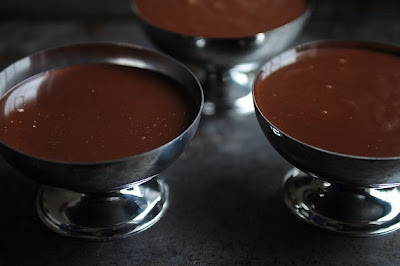 When all the chocolate is added, strain the pudding into a serving bowl (or 3 to 4 serving bowls) and let it cool to room temperature before transferring to the refrigerator to cool completely. Top with whipped cream if you like. Top with whipped cream if you like? Whipped cream should be compulsory. Always.